With the competition of industry today, manufacturers must strive for the highest level of quality possible. In an effort to assure quality is maintained many companies are requiring Production Part Approval Process (PPAP) be completed. Many suppliers are either not familiar with PPAP or do not have a rock solid system in place for effective PPAP execution. 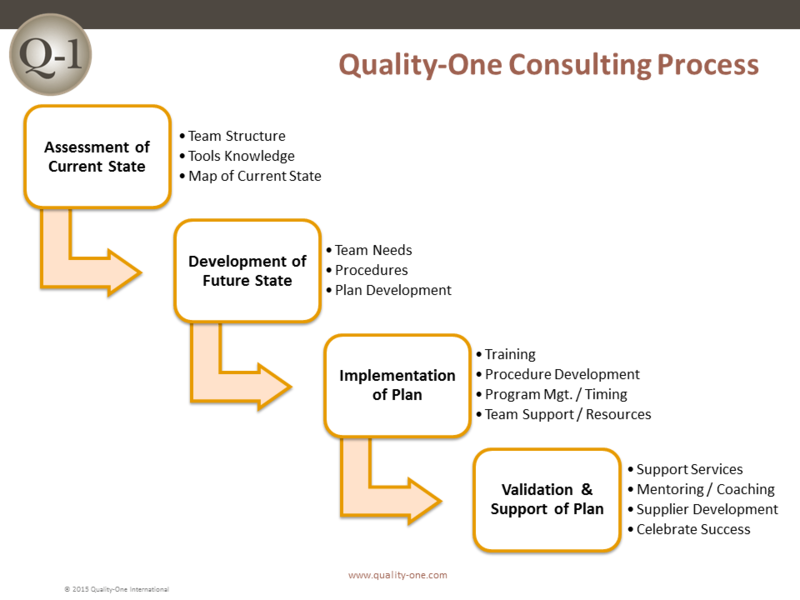 That is where Quality-One consulting services can be of value. Determine the need for any outside resources such as testing facilities, laboratories, metrology services, etc.